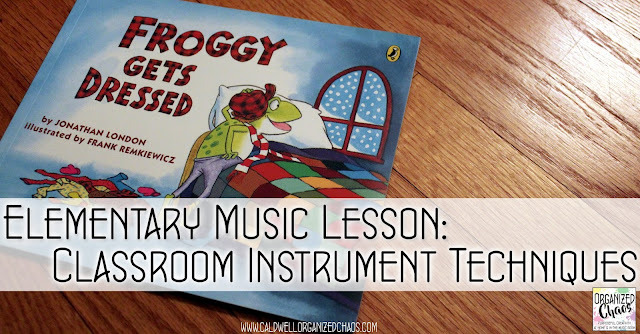 I love using storybooks in my elementary music lessons, especially with my younger students, and I'm so excited about my newest lesson using the book Froggy Gets Dressed. I am using this lesson with kindergarten to review proper playing technique on our classroom instruments. This lesson could also be used to introduce and explore the concept of timbre. This story is perfect for adding different "sound effects" because it includes an onomatopoeia with each clothing item. I actually leave out those words when I read the story, though, and add in instrument sounds instead. I start the lesson by reading the story, and I ask students to copy me as I act out putting on and taking off each article of clothing while I read it. Not only does it keep students actively engaged in the story because they are moving, but it also helps them better remember when each clothing item is mentioned throughout the story. After we read the book and briefly discuss the storyline, I tell them that we are going to add some instruments to the story! I have been gradually introducing instruments throughout the school year, demonstrating how to hold and play them correctly and helping them learn the names, so first as I pull out each instrument I have them tell me the name of the instrument and have one student demonstrate proper playing technique for each one. There are 9 clothing items in the story, so you need at least 9 different instruments- I use triangles, rhythm sticks, hand drums, jingle bells, egg shakers, tambourines, cowbells, castanets, and sand blocks because I have multiples of them and they represent a wide range of playing techniques and timbres, but you can obviously use whatever instruments you might have available. Once we have reviewed each of the instruments I assign students to an instrument and tell them which clothing item they will play with in the story. Because I have multiples of all of the instruments I have 2-3 students on each instrument so everyone has a part (tip: if you don't have enough to give everyone a part, have the others act out the story with the motions you did before, but assigning each student to a different clothing item so they still have to listen for "their part"). I tell them to play their instrument each time they hear their clothing item mentioned. 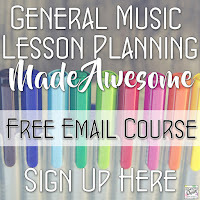 Because I am using this lesson to review playing techniques, I rotate students through several of the instruments to give them a chance to practice on different instruments. In the first lesson we went through the story with instruments twice. One of the main instruments I have been working on with my kindergarteners since January is barred instruments, so in the second lesson I added a twist: I assigned half of the class to play barred percussion using 2 mallets together each time they hear "flop, flop, flop" (when I introduce mallet techniques to them I call the 2 hands together (rather than alternating) technique "froggy jumps" so it's a natural connection!). The other half of the class takes some more turns on other instruments, and then we switch. By the end, each student ends up playing 4 different instruments: one barred percussion instrument and 3 auxiliary percussion instruments. The students loved the story because they can totally relate to the struggle of getting dressed in the wintertime, and they love getting a chance to play lots of instruments too! It's a great way for me to assess how well they know proper playing technique on a variety of classroom instruments. If you're looking for more elementary music lessons using children's literature, I've written posts on the books Too Much Noise, Going On a Bear Hunt, My Many Colored Days, Bear Snores On, and Mortimer. What other books do you like to use in your music classes? I'd love to hear your ideas in the comments! 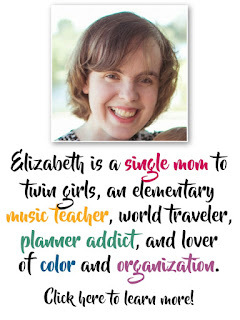 Get free curriculum ideas every month and stay updated on all things Organized Chaos! Click here to sign up for the Organized Chaos newsletter!